Make the most out of your tea break with Darvilles Of Windsor English Breakfast 25s Tag and Envelope. 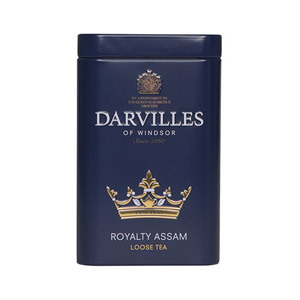 Who better to make English breakfast tea than Darvilles of Windsor who actually hold a UK Royal Warrant, first obtained in 1946 from King George VI. With decades of experience you can trust this company to deliver you the best possible traditional full-bodied morning tea. 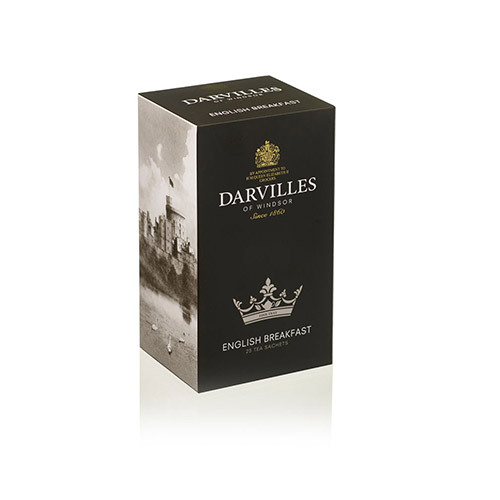 Most popular with customers in UK - England, United States of America (USA), England, Italy, Poland, Norway, Germany and Austria, but you can buy Darvilles Of Windsor English Breakfast 25s Tag and Envelope for delivery worldwide. Delightfully aromatic, with a rich taste that isn't bitter like many American breakfast teas. 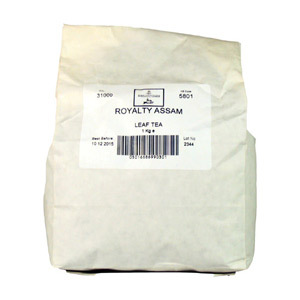 I love the high quality tea and the individually wrapped tea bags to maintain freshness. I also like the long string attached to the tea sachets, which allows for making both a proper cup of tea or a whole pot. The depiction of Windsor castle on the box is also quite lovely. 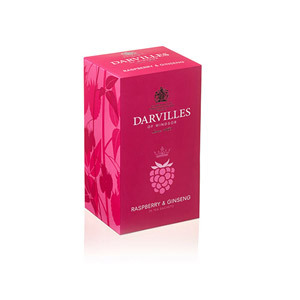 Would you like to write a review for Darvilles Of Windsor English Breakfast 25s Tag and Envelope?